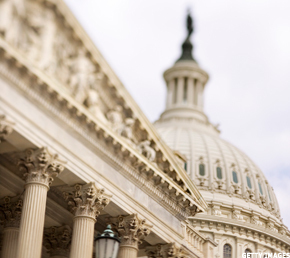 The government is on the verge of a shutdown if an agreement can't be reached on the budget. Could you be affected? NEW YORK (MainStreet) -- With President Barack Obama and Congress still far apart on a budget-cut agreement, it's looking increasingly likely this week will end with a government shutdown. First, let's be clear on what that doesn't mean: The postal service will not stop delivering the mail, nor will the military have to hold a bake sale. "Essential services" will remain uninterrupted. And it's not likely the shutdown will last forever -- the last time this happened in late 1995, political pressure on both parties brought things to resolution, though the government was still closed for three weeks. With neither party poised to come out of this one smelling like roses, expect cooler heads to prevail sooner rather than later. It's looking increasingly likely this week will end with a government shutdown. Oh, and don't think this means you get an extension on your taxes. Come hell or high water, that deadline is still April 18. Here are some situations in which you could find yourself directly affected by the shutdown. 1. You're a nonessential government employee. Nobody likes to think of themselves as "nonessential," but if you're on the federal dime and you're not delivering the mail, defending the country, taking care of the sick or telling planes when to land, there's a chance you'll find the doors to your office locked Monday morning. At the moment, the Office of Management and Budget has not released its contingency plan for federal agencies that would be affected by the shutdown -- which has just prompted a lawsuit by the largest federal employee union. But based on the previous shutdown, a number of employees could find themselves idled or furloughed if they're deemed inessential to the country's day-to-day operations. 2. You're planning to visit a national park or museum. The weather's getting warmer, which means there's a lot of people planning to visit parks, museums and other tourist attractions. But the federal employees staffing Yellowstone and the Smithsonian aren't exactly essential, so you could be in for some disappointment if you show up Monday and the parks are closed for business. According to the Congressional Research Service, the previous shutdown closed of 368 National Park Service sites, costing the government millions in tourism revenue. 3. You need that tax refund right away. As we said, you still need to turn in your tax forms by the deadline. But if the doors to the Internal Revenue Service are shuttered, it will take longer to actually process your tax refund. So if you've been counting down the days you actually get that check in the mail, there's a chance you could be waiting a bit longer than expected. 4. You're waiting on a passport. Planning to leave the country for the first time this spring? If you're still waiting for the government to process your passport application, a shutdown would delay things. According to the CRS report, during the previous shutdown as many as 30,000 applications went unprocessed every day.